AdvoCare – The makers of the amazing 24 Day Challenge have added a press release related to an upcoming Nascar event in Atlanta this Labor Day 2011. AdvoCare is about to be a household name. If you have not joined the team, please contact me for more information. Get on the bandwagon before this event and ride on the coattails of all the free press that will surround this event! HAMPTON, GA, May 29, 2011 – AdvoCare International, LP, an award-winning, premier health and wellness company headquartered in Plano, TX., will be the title sponsor for the NASCAR Sprint Cup Series night race on Sept. 4, 2011 at Atlanta Motor Speedway. The multi-year contract between AdvoCare and the Speedway calls for AdvoCare to sponsor the track’s Labor Day Weekend NASCAR Sprint Cup Series night race in addition to being the Official Performance Elite products of the Speedway. The partnership also adds to the strong AdvoCare history and relationship to both sports and motorsports. NASCAR figures utilizing AdvoCare products include Mark Martin, Richard Petty and NASCAR Camping World Truck Series veteran driver David Starr. The AdvoCare Official National Spokesperson is New Orleans quarterback Drew Brees. “We recognize this as an extraordinary way to move our relationship with the motorsports community to the next level. This will be a great time for NASCAR fans to learn more about and benefit from the AdvoCare products and business opportunity. We are excited by what it will mean for everyone involved,” said AdvoCare President and CEO Richard Wright. AdvoCare is also a platinum sponsor of Operation Homefront, an organization dedicated to providing emergency assistance to those serving in the military and their families. 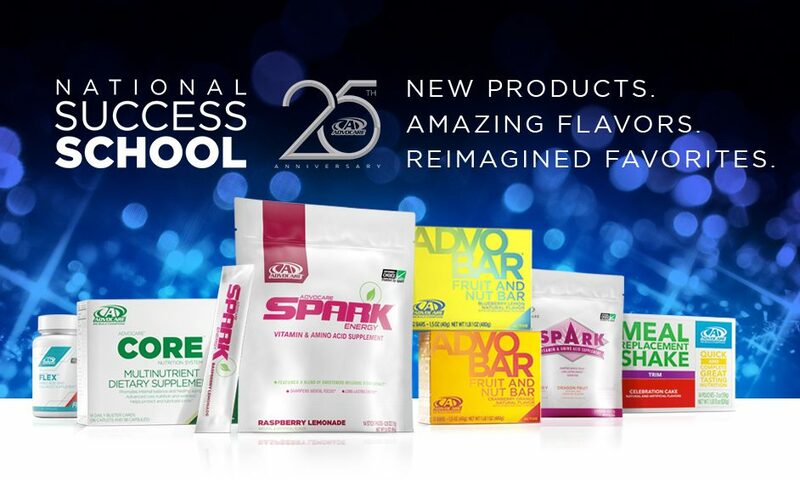 Since 1993, AdvoCare has offered general nutrition, weight loss, energy and sports performance products of the highest quality developed through comprehensive research and backed by a Scientific & Medical Advisory Board. AdvoCare offers more than 70 exclusive products and a business opportunity that empowers individuals to explore their ultimate potential. For more information on AdvoCare and/or this sponsorship, visit www.advocare.com or call 800-542-4800. The biggest Labor Day celebration in the USA will be at Atlanta Motor Speedway on Labor Day Weekend when NASCAR Night Racing returns to Atlanta Sept. 2-4 for three NASCAR night races in one weekend. In addition to being the only Direct Sales company to sponsor a post season college bowl game The AdovCare V100 Independence Bowl, they are now the only Direct Sales company to sponsor Nascar! This company is growing fast!